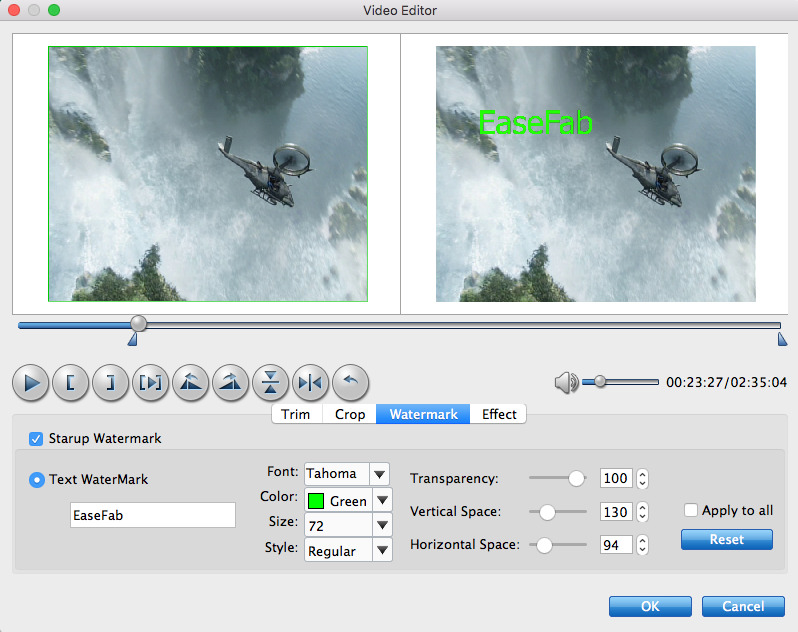 How to use EaseFab Blu-ray Ripper for Mac? 1) We have both Mac and Windows version for Blu-ray Ripper. 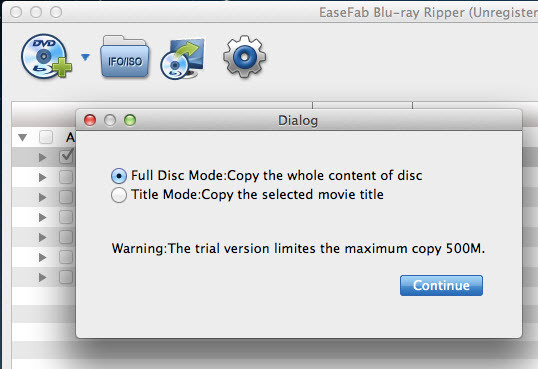 This is a simple quick-start guide on how to use EaseFab Blu-ray Ripper for Mac. For the whole detailed guide on how to use Blu-ray Ripper for Mac, you can take Blu-ray Ripper Windows tutorial for reference. The Mac version has the same functions if there is no special remark. 2) A BD Drive is needed for ripping or copying Blu-ray discs on Mac. And please make sure that all the DVD/Blu-ray ripping are just for personal use. How to Rip and Convert a Blu-ray or DVD? 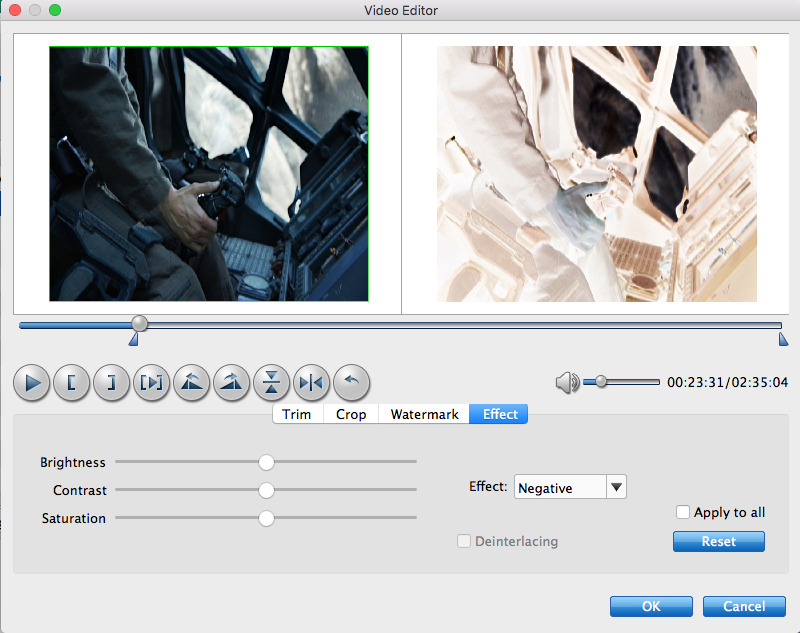 Insert the Blu-ray disc to the Blu-ray Disc drive or DVD to the DVD-ROM and click the button to have movies uploaded to the Blu-ray Ripper for Mac. 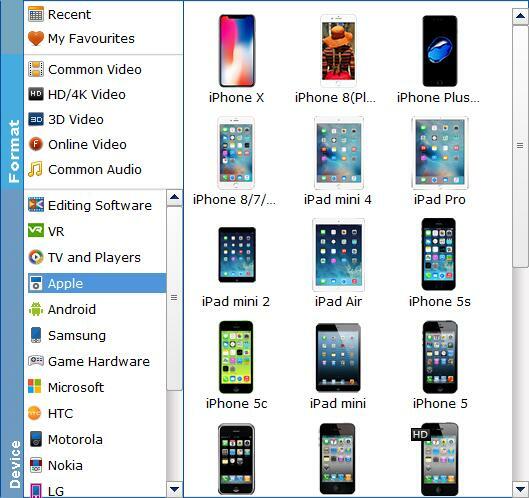 Here you can also import Blu-ray/DVD folders, ISO files and IFO files to convert. Tips: A Blu-ray or DVD may contain many titles more than the main movie, such as the trailers or commercials. By default, EaseFab Blu-ray Ripper choose the longest title which is usually contains the main movie. And this helps ripping without converting unnecessary titles. And double-click one of the titles, and you can preview the movie in the Preview window on the right. Once the files are loaded, you can select one of audio or subtitle tracks you prefer from the corresponding drop-down Audio or Subtitle lists. As you see, you can also select Forced Subtitles if the movie contain forced subtitles. 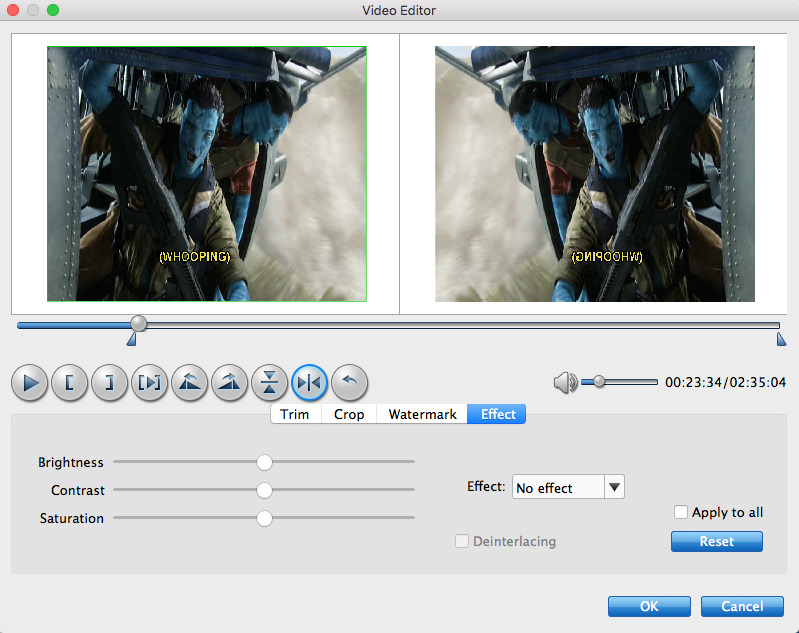 You can also add external subtitle to your Blu-ray movie if there is unwanted subtitle track there. If you skip this step, by default, the program will select the first audio track and select no subtitle. Click Profile (located below where your files are displayed) and select the format you want from the drop-down list. Just below Profile is Output, here you can browse your computer for a better destination folder for the Mac Blu-ray Ripper to save your converted movies. As you see, all regular SD/HD and even UHD 4K video and audio formats like MP4, MOV, MKV, WMV, AVI, FLV, MP3, WMA, WAV, M4A, etc. are provided. 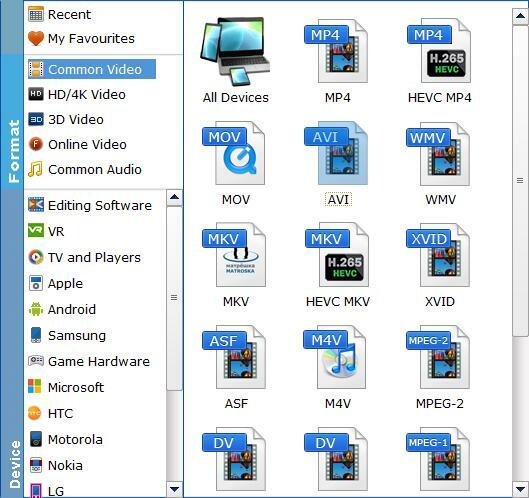 If you want to convert your Blu-ray/DVD movies for play on portable devices, including iPhone, iPad, iPod, HTC, Samsung Galaxy Tab S, Galaxy S5, S4, Nokia, SSony, PSP, Xbox One and more, you can simply browse to find the icon of your device and select it as the output format to get videos with optimized settings. All Idevices output files can be synced to iTunes automatically. Once you've selected the output file format you want, you're ready to rip. Simply click the big Convert button to let the software start converting your Blu-ray or DVD. 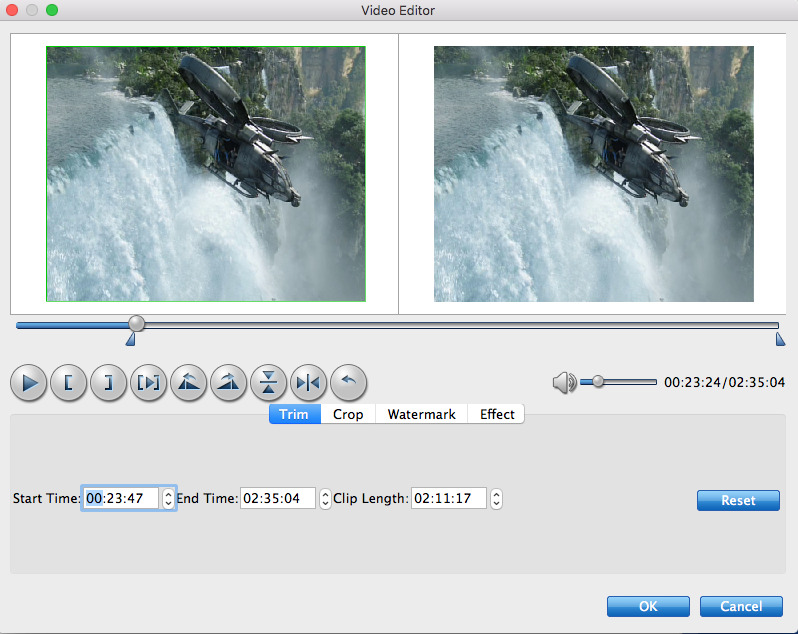 The ripping time depends on the quality and duration of the output movie. Wait for the conversion to be done and click Open to get the converted video files. 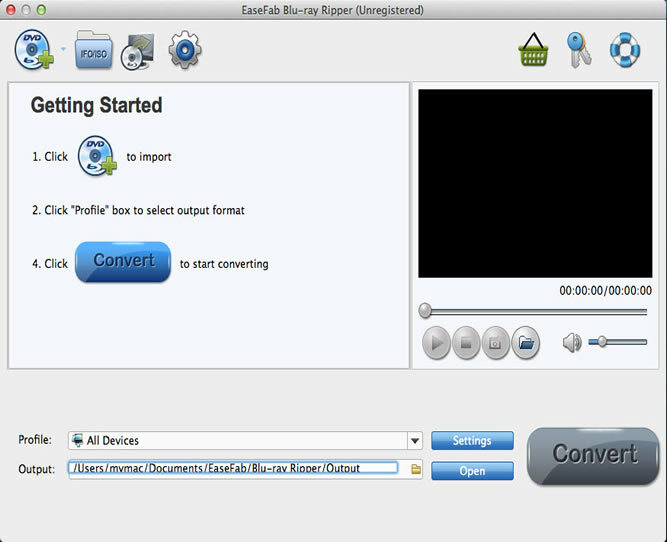 Besides ripping, the EaseFab Blu-ray Ripper for Mac also offers enough freedom for all movie lovers like you to back up your favorite Blu-ray and DVD movies in a personalized way. 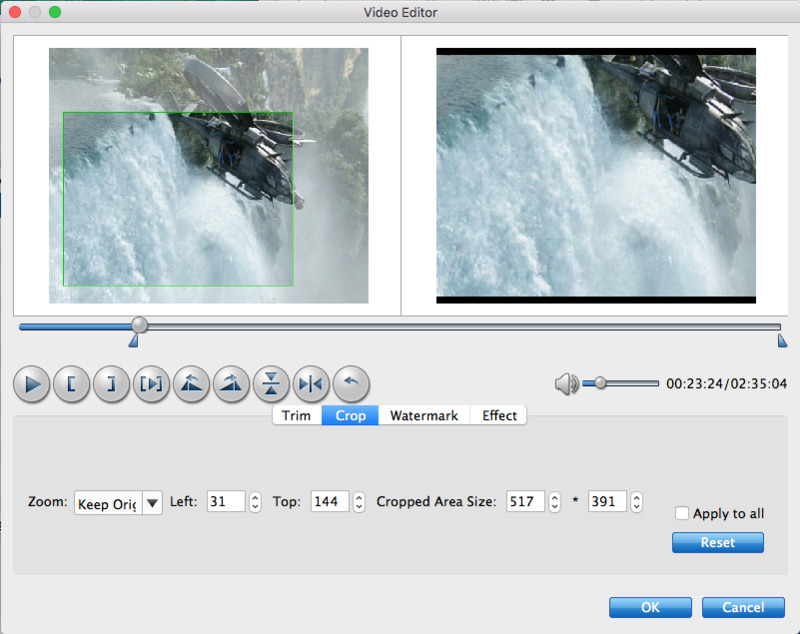 Two different copy modes: Title Mode and Full Disc Mode are provided to let you copy the exact movie part you want. Just select your wanted one. Either of the backup method can help you backup your DVD movies within one minute! Click button and the disc copy window will pop up. Then you can choose Title Mode: Copy the selected movie title and click Continue to let the software copy the main movie from your DVD. By default, the Blu-ray/DVD copy software choose the longest title which is usually contains the main movie. And this helps copying without backing up unnecessary titles. If you want to copy other titles, just tick the Title you want to copy.